♫Pazardzhik Symphony Orchestra of ♫SYMPHONY OPERA UNION ♫,,Maestro Georgi Atanasov"
Madeline TSAI, was recently named a winner the Solti International Conducting Competition in Hungary (People‘s Choices Award – the favorite conductor of the first round in 2017.) Following her award at the Solti Competition, Ms. Tsai made her conducting debut in her native Taiwan with the Kaohsiung Symphony orchestra in 2017. She also received the 3rd prize in the Prof. Dichler Conducting Competition in Vienna in 2016. In 2011, Madeline was awarded the highest distinction in the St. Petersburg Chamber Philharmonic masterclass with a prize winners’ performance at the final concert. Praised for her versatility, she serves in the St. Stephans Vokalensemble Vienna as a singer, percussionist, and cover-conductor. As a timpanist, she works in the Pro Arte Orchestra MdW (University of Music and Performing Arts, Vienna). As a pianist and vocal coach, Madeline also works with singers from the Volksoper, and Vienna Staatsoper. She was invited by K.S. Grace Bumbry to assist her vocal masterclass as a pianist on Verdi’s Aida in 2018. She has guest conducted many orchestras in the USA, including the Astoria Symphony Orchestra with Martha Graham Dance Group performing Copland’s Appalachian Spring. From 2010, Madeline has been conducting a series of European orchestras, including the Hungarian State Opera Orchestra, the St. Petersburg Chamber Philharmonic, the Philharmonic Chamber Orchestra Berlin, the Rousse Philharmonic Orchestra, the Lithuanian State Philharmonic Orchestra, the National Radio Orchestra Bucharest, the Savaria Symphony Orchestra from Hungary, and the Pro Arte Orchestra in the University of Music and Performing Arts, Vienna. In 2014, she was engaged as a stage pianist and concert cembalist for Don Giovanni in Theater Altes Hallenbad in Friedberg, Germany. 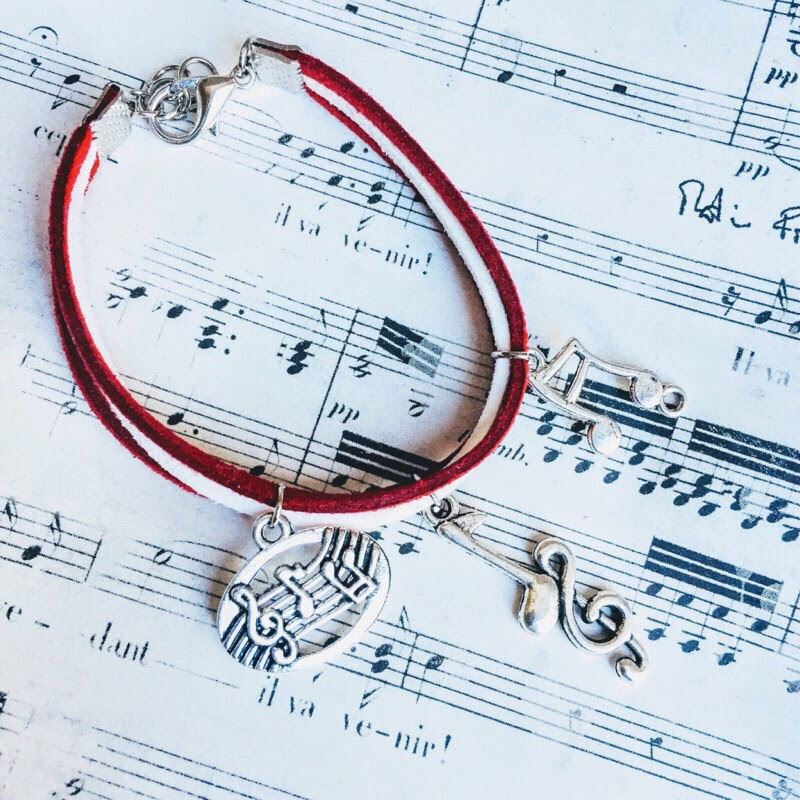 Ms. TSAI enjoyed a very varied and solid musical education in her native Taiwan, beginning with piano at age five and adding percussion, choir and voice education over the course of her childhood. She earned her BFA degree in Percussion performance from the Taipei National University of the Arts. Further studies led her to the US and Europe where she studied organ with Ken Cowan (USA) and Martin Haselboeck (Austria) and earned her Master of Music degree at Westminster Choir College of Rider university, majoring in both Church Music and Choral Conducting. Kenneth Kiesler, Alexander Polishchuk, Mark Stringer, Carl St. Clair, Kirk Trevor and Wolfgang Dörner. She spent one semester at the University of Music in Graz (Austria) studying with Martin Sieghart and later continued her studies at the University of Music and Performing Arts, Vienna with Jordi Casals, Johannes Wildner and Yuji Yuasa. He was born on 14.07.1997 in the town of Rousse. He plays piano at the age of 5. In 2004 he was admitted to “Prof. V. Stoyanov” National Music School – Rousse, in the piano class of Evgeni Zhelyazkov. During the years of his training he actively participated in the cultural life of the city and the country. Laureate is a member of dozens of competitions in the country and abroad as a solo artist and chamber musician in various ensembles – piano duo, violin, flute and vocal. In 2011 he is a soloist of the Rousse Philharmonic with Concert No. 1 from Beethoven and in 2013 with a Grig concert.He has completed numerous master classes with distinguished pedagogues from Bulgaria and abroad, including: Tamara Padubnaya, Atanas Kurtev, Paul-Badura Skoda, Tatiana Levitina, Bojidar Noev, Boyan Vodenicharov, Jean-Bernard Pomee, Ludmil Angelov and Evgeni Bojanov. Since the autumn of 2016 he is a student at the National Academy of Music “Prof. Pancho Vladigerov “- Sofia in the class of Prof. Dr. Borislava Taneva. Some of his awards are: 2011 – Gospel Gospel – Cyprus – Third Prize; Millennium – Romania – Third prize; Hopes, Talents, Masters – Dobrich – Third Prize; Fr. Schubert – Rousse – Second prize 2013 – “Craiova-piano” – Craiova, Romania – Second prize; Carl Filch – Romania – Second prize and special award for Best Performance by Karl Filch; Fr. Schubert – Ruse – Second Prize, Special Prize for Best Performance by Franz Schubert, First Prize with Simona Staneva (violin) in chamber music category and Second Prize with Kristian Kushchev in the category of piano duos 2014. “Fabulous” (Colin Clarke, Fanfare), “sharp and accurate” (Angelo Foletto, La Repubblica). Andrea has conducted in venues such as Carnegie Hall in New York, Seul Art Center in Seul, Teatro Petruzzelli in Bari, Sala Verdi in Milan. His discographic debut on the podium of the Ensemble BIOS, with Arnold Schönbergs’s Pierrot Lunaire, featuring Anna Clementi as a soloist, has raised international critic’s enthusiastic attention (American Record Guide, Das Orchester, Limelight Magazine, Musica Magazine, Amadeus etc…) and is considered a “One must have” recording of this piece, along with Pierre Boulez’ and Giuseppe Sinopoli’s ones. He collaborates with several orchestras and ensembles such as the Soloists of La Scala Opera House, MÁV Symphony Orchestra Budapest, Thessaloniki Symphony Orchestra, Orchestra Sinfonica di Sanremo, Korea Soloists Orchestra Seul, Argento Ensemble New York, Koszalin Philarmonic Orchestra, Khabarovsk Symphony Orchestra. Andrea Vitello is a keen interpreter of the contemporary repertoire. 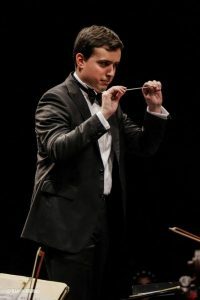 He conducted premiéres -both in concert and recording- by authors such as Peter Eötvös, Tristan Murail, Oliver Schneller, Andrea Portera, Alessio Elia, Albertas Navickas, Rita Ueda and promotes young composers discovering and conducting their music. Andrea is also an enthusiast ambassador of Italian music and rediscovered and conducted several neglected works by less known Italian composers, such as Guido Alberto Fano, Silvio Omizzolo, Mario Pilati, Gian Francesco Malipiero. Pianist Sujung Sun enjoys a remarkable career that has taken her throughout the Switzerland, Spain, Italy, United States, Canada, Korea, and Japan. Corpus Christi International Piano Competition and the Kingsville International Piano Competition, the Baltimore Music Club Competition, William Byrd Piano Competition, MTNA Piano Competition, and the Harrison Concerto Competition..
An active recitalist and chamber music collaborator, Ms. Sun has also appeared as a soloist with Conservatoire de Musique de Geneve Orchestra in Switzerland, the MSU Symphony Orchestra in Michigan and Korean Symphony Orchestra, Gyungnam Philharmonic Orchestra, Jinju Symphony Orchestra the Gwangju Philharmonic Orchestra in her native country, Korea. She has performed in the Gala Concert of Busoni International Competition, Shandalee Music Festival in New York, New Millennium Piano Festival in Spain, Music Alp in France, Banff Summer Festival in Canada, Wharton Center in Michigan and the Bach Festival in Oregon. Ms. Sun has worked closely with Yong Hi Moon at the Peabody Institute where she completed her Master degree in piano performance and Dominique Weber at the Conservatoire de Musique de Geneve where she received her ‘Diplome de Soliste’. She has performed in master classes for many renowned pianists including, Leon Fleisher, Claude Frank, Robert McDonald and Earl Wild, among others. She gave numerous recitals throughout the world including the series of ‘Complete Brahms Piano Sonatas and Complete Schumann Piano Sonatas’. 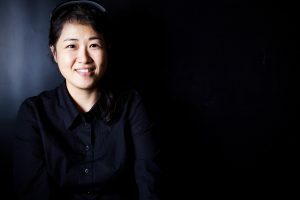 In 2011, Sujung Sun was presented as ‘Seoul Art Center Artist’ and she currently serves as an Assistant Professor of Piano at Gyeongsang National University in South Korea. Baritone Kangji Choi is one of representative singers of musical world of Korea known for exquisite musicality and sophisticated expression. 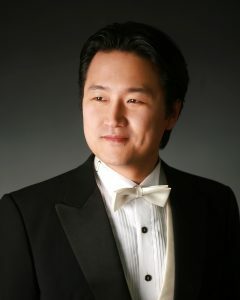 He received his Bachelor of Music degree from Seoul National University and di ploma from Detmold National Conservatory . He received his Konertexamen from Köln national Conservatory . Beginning to win at Italy Merano international voice competition, he earned great recognition by winning at Maria Callas International Voice competition. And then he was awarded at other six international voice competitions. He appeared in Opera Don Carlo, Carmen and Don Giovanni as a guest singer in Detmold city opera theater, and performed actively accompanying with symphony orchestras in whole Europe such as Athena National symphony orchestra, Moldova National Symphony Orchestra, and German ARD Broadcasting Symphony Orchestra After performance in Russelsheim, the local press praised him as a musically sensitive, vocally perfect singer who had better German articulation than the native. Through the recital invited by Detmold , he also got praised from the local press as a singer who has excellent musical interpretation and brilliant voice. He has been performing over 8 operas and dozens of concerts since 2008. In 2008 he performed enthusiastically playing a role as Rodrigo in opera Don Carlo hosted by Seoul City Opera Agency. Also he has played a main role as Figaro of “ Il barbiere di Seviglia” , Belcore of ‘L’Ellisir d’amore’, Escamillo of Carmen, Gulielmo of “Cosi fan tutte , Rigoletto of Rigoletto, and Germon of La Traviata with several famous opera agencies such as Korea National Opera Agency, Seoul City Opera Agency, and Kyungnam State Opera Agency . Especially, his fabulous playing in Rigoletto as Rigoletto led him to receive Rookie of the Year in 2010 the Third Korea Opera Awards and gave him best honor. Pianist, organist and conductor of choir and orchestra, Gabriele Pezone studied in Italy and in Bulgaria and I had masterclasses with Roberto Prosseda, Alessandra Ammara, Nicola Samale, Deyan Pavlov and Olivier Latry (organist in Notre Dame de Paris). I conducted many orchestras (opera and symphonic repertoire) in Italy, Mexico, Bulgaria, Poland, Macedonia, Turkey, Portugal, USA, Ecuador, Egypt, Czech Republic in very prestigious Smetana Hall in Prague, Macedonia, Japan, Thailand and Kazakhstan. He also performed, like pianist or organist, in Croatia, France, Sweden, Australia, New Zealand, Hong Kong, Spain, Denmark, Germany and Poland. He is artistic director of Orchestra da Camera “Città di Fondi”, Fondi Music Festival, Festival Organistico Pontino and Italian International Cello Competition. In 2006 he won the fifth edition of the International award “Giuseppe Sciacca” with the track for piano “Mozarteum”. The prestigious prize washanded to him at the Italian Chamber of Deputies. His performances have been broadcasted by TVP (Poland), from Radio Maria from SAT2000, by Rai Uno and by RaiTre. He recorded for Amadeus, the most important classical music magazine in Italy. 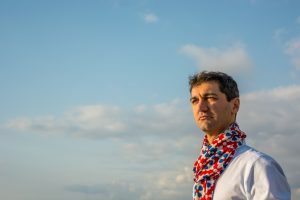 Its global interest towards the art of sound led him to become interested in folk music and to be the accordion of the folk group “Città di Fondi”, which, in 2011, he won the “Best Music Award” at the “8th International Nicosia Folk Dance Festival” (Cyprus). Born in Orvieto he began studying violin at a very young age, graduating from the Conservatory “Morlacchi” of Perugia under the guidance of Georg Mönch. Immediately thereafter he continued his musical training with Carlo Maria Parazzoli. He studied at the National Academy of Santa Cecilia obtaining the high-school violin with Sonig Tchakerian and in ensemble music with Rocco Filippini; he also obtained the Master in chamber music with Pier Narciso Masi from the Piano Academy “Incontri col Maestro” of Imola. He has followed as an actual lecturer at the Mozarteum in Salzburg with Pierre Amoyal, the Académie de musique Tibor Varga of Sion with Francesco De Angelis and Victor Pikayzen, the International Music Campus of Sermoneta with Rocco Filippini and Mariana Sirbu, the Chigiana Academy of Siena with Giuliano Carmignola and the Trieste Trio. 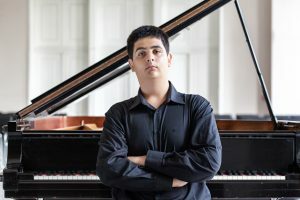 He attended the International Chamber Music School of the Trieste Trio in Duino for a year, and for three consecutive years he took part in the master classes held by Boris Belkin at the Arts Academy in Rome. He has collaborated with several orchestral groups with whom he has played in important concert halls: the Philharmonie in Berlin, the Royal Albert Hall in London, the Sala Santa Cecilia and the Sala Sinopoli of the Parco della musica, the Auditorium della Conciliazione. He performs an intense concert activity in Italy and abroad, Switzerland, Austria, Spain, Bulgaria, Australia, New Zealand, Hong Kong, Mexico and Brazil. He regullary collaborates with the Baroque Concerto chamber orchestra of Rome with which he performs Vivaldi’s Four Seasons as a soloist. He played the Concerto for Violin and orchestra n. 2 by Béla Bartók with the Orquestra Sinfónica del Estado de México conducted by M ° Enrique Bátiz Campbell and the Concerto for Violin and Orchestra in D Major of Beethoven with the Vratza State Philharmonic and with the Orchestra Città di Fondi, directed by M ° Gabriele Pezone and M ° Juan José Maldonado Martinez. 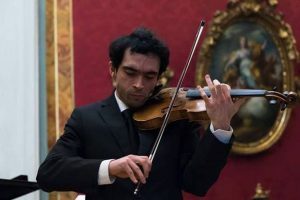 He participated in the Armonie della Magna Graecia with the show “The shoe of Columbus” by Raffaele Cacciola, for reciting voice and solo, playing the part for Violin solo. In collaboration with Gabriele Pezone the CD “Fuoco Italiano” has recently been released by the Movimento Classical record company, with music by Corelli, Paganini and Bazzini. Parallel to the activity of instrumentalist he followed musicological studies under the guidance of prof. Franco Carlo Ricci at the University of Tuscia in Viterbo, where he obtained his bachelor’s degree in Art, Music and Entertainment and the master’s degree in Modern Philology; his theses received the highest marks, praise and dignity of the press.